Why can’t a toy truck be pink? 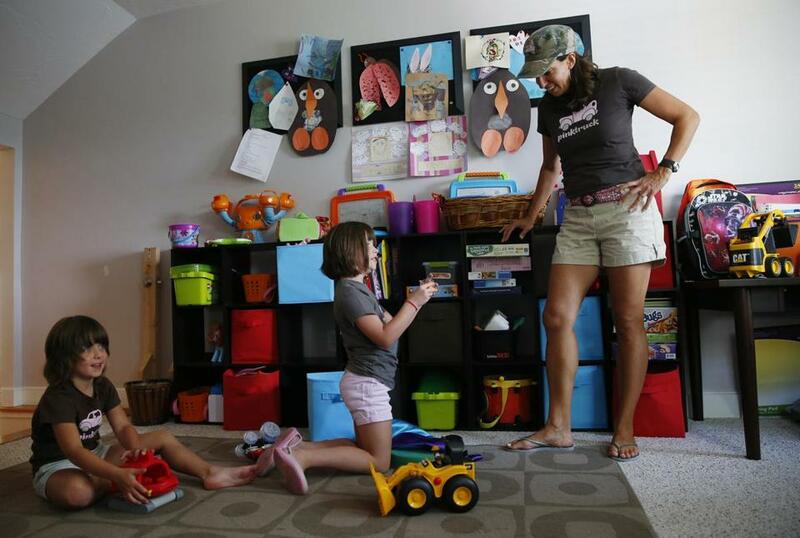 Dana Babbin has asked herself this question since her twin daughters, Dennehy and Gia Quinn (pictured, with mom), began to show a fascination with any big-wheeled contraption that pulled or pushed dirt. As early as the age of 1, they were thrilled by snowplows. In warmer weather, picnic spots were chosen for their proximity to construction sites. Such was their affinity for bulldozers and dump trucks that Babbin, a former state prosecutor, would scour the girls’ section of a department store for clothes with those graphics. “Pink isn’t a color anymore. It’s a mind-set,” Babbin said. Companies like Target are starting to come around to her way of thinking. Over the summer, the chain announced it would phase out gender-based signs in the toy, home, and entertainment departments. “[In the] kids’ Bedding area, signs will no longer feature suggestions for boys or girls, just kids. In the Toys aisles, we’ll also remove reference to gender. . .,” the company wrote on its website. But the day of the Target announcement, Babbin found herself aggravated by Pottery Barn’s back-to-school catalog. Dennehy had chosen a purple/blue backpack with a lightning bolt patch while Gia Quinn wanted a light blue/white pack with a rocketship. Neither was available. Babbin called customer service. “The operator, who was herself surprised, said they can only get those patches on primary color backpacks such as red, gray or navy. Only princess, fairy, and butterfly patches go on the purple and turquoise,” Babbin was told. Linda Blum, associate professor of sociology who studies gender relations at Northeastern University, wishes that experience was the exception, not the rule. Like launching a kids’ apparel company to help . . . change gears.